One of the secrets of the construction industry is that it is entirely possible for an individual with no construction knowledge to save as much as 25 percent of the cost of building a new home by becoming their own contractor. As improbable as this sounds, author and contractor Carl Heldmann says its true, and that it was so easy that he became a builder after doing it himself with his first home in the 1970s. He has been involved in thousands of contraction projects since that first house and claims that it is possible to save even more than 25 percent. Of course, most people do not have the know-how to handle the complexities of construction on their own. 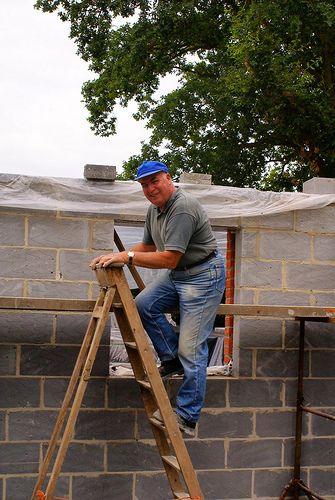 There are many things that can go disastrously wrong when attempting to build a home with no training, how can an inexperienced do-it-yourself home-builder handle the potential problems? That is where Be Your Own House Contractor: Save 25% Without Lifting a Hammer comes in, this book tells the reader exactly how to get it done. First of all, all of the crucial work will not be done by the home-builder, but by their sub-contractors. They become their own general contractor and hire all of the experts to come in and deal with the difficult elements of the job. Of course, if they know what they are doing they are free to take on some of the labor themselves for extra savings, but it is not necessary. This book will not teach you how to go about building a house, meaning hanging drywall or installing plumbing fixtures. That is not the point, the point is teach you how to find the people who can do all of that work and to get it done for less money than if you were to pay a general contractor.